Bonnie was born to Everett Howard and Hattie Allman Howard on Sept. 14, 1930 in Broderick, CA. She was born (premature) at home weighing 2 lbs. Bonnie was the 1st incubator baby ever for the Sacramento Hospital and was proud to tell the story of making the front page of the Sacramento Newspaper at the time. She was a tiny baby and remained tiny all of her life. Bonnie liked to ride horses as a child. She would go to her Aunt Emma and Uncle Bob Patterson’s ranch and ride their horses almost daily. She learned to play the piano and became pretty good. Donnie and Jill remember her playing until her hands became too stiff. Her parents were divorced and it exposed her to a lot of different experiences depending on who she was with at the time. As a small child she was raised in the coastal town of Bolinas where she developed a love for the ocean. In Bolinas her mom and step-dad, whom she loved dearly, owned a laundromat and the only store in town. With her mom she was taught proper etiquette and social skills that would come out in her adult life when she set a table or put on a formal dinner. Bonnie knew all the proper rules. When she was a teenager she moved to Broderick to stay with her paternal grandparents. Her father and step-mother also lived in Broderick so she was raised during her teen years with their influences. Her Dad owned a pheasant club and was a big hunter of most game. He owned the Tower Club and The Rod and Gun Shop. He owned Helvetia Park, where many entertainers performed. Her Dad also owned the Show Boat Paddle Wheel which was a riverboat casino. Her Father’s family were big hunters and gamblers. At 16 years old Bonnie was diagnosed with Rheumatoid Arthritis. At first they thought it was Polio because it paralyzed her. She was bed ridden for about a year and then went into remission until her early 40’s when it came back with a vengeance. She battled it the rest of her life. Bonnie married Bill Thomas at age 20 in Reno, Nevada. They made their home in Broderick and had 2 children, Donnie and Jillene. They lived closely around much of Bill and Bonnie’s families which was comforting and fun for all of them. While living in Broderick, as a young mom, Bonnie went to Beautician school and became a Beautician. She was proud of her accomplishment and enjoyed the profession. For a time she also cleaned rooms at a fancy motel. She raised and bred miniature poodles for several years when the kids were little. Jill said they were so fun. They always had puppies. Bonnie had a great marketing setup sending the puppies off on an airplane to Reno to be re-sold. The kids loved it! Bonnie also worked in a dog grooming shop in Sacramento. She got Donnie started in a dog grooming school and when they moved to Lodi they opened a shop together and they were very successful for a few years until Donnie got tired of it. Then she worked in another shop for several years. Bonnie loved to do gourmet cooking with fire. Some of her specialties were flaming pheasant and duck in wine. She loved fixing Cherries Jubilee for all the kids. She couldn’t wait to see their faces when she would light up the ice-cream. Bonnie did this for her kids, her grandkids, and her great grandkids. She loved to cook many dishes. We loved for her to fix her scalloped potatoes every Easter. They were the best EVER! Her family loved her enchiladas and lasagna. She could make seafood a delight. She loved making Shrimp Scampi and she also loved when Donnie would bring her home the heart from the deer he shot. In 1966 they moved the family to Lodi due to a job transfer for Bill. Bonnie loved to put on parties and socialize. In 1973 she and Bill moved into a large mobile home park and Bonnie became the director of activities very shortly after moving in. She kept herself very busy organizing square dancing, monthly pot lucks, and annual New Year’s Eve parties and annual luaus. Her luaus became so authentic and well known that people outside of the mobile home park began wanting to attend and they had to limit the ticket sales. She was very proud of her luaus. Because her husband, Bill, was a big guitar player, at about age 53, she learned to play the Bass guitar to accompany him. She became quite good at that, too. She wasn’t afraid to try anything. Bonnie loved her family. She was the glue to all their gatherings. Initiating yearly family camping trips as well as holiday activities and dinners. She was also very compassionate. She traveled 80 miles a day for the last 2 years of Bill’s life to be by his side each day as he was hospitalized in Sacramento. Shortly after Bill passed away in 2003 she found her way up to Crescent City to be with Donnie and his family. In Crescent City she quickly found a new family with her Bingo friends. She loved to play bingo and went every chance she got. When she wasn’t playing Bingo you could find her at home playing Yahtzee with her good friend Randy and having friends over for dinners. She was an independent soul living on her own and loving life til age 87 when she had a bad accident and ended up the last year at the Curry Good Sam Nursing Home in Brookings. 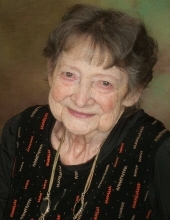 She passed away on March 16, 2019. She was loved dearly and survived by her son Billy Don and his wife Lori (Crescent City), and her Daughter Jillene Barr (Lodi), Her brother, Ronnie Howard and his wife Debbie (Prospect, Oregon). To plant a tree in memory of Bonnie Rae Thomas, please visit our Tribute Store. "Email Address" would like to share the life celebration of Bonnie Rae Thomas. Click on the "link" to go to share a favorite memory or leave a condolence message for the family.